Beep Beep. 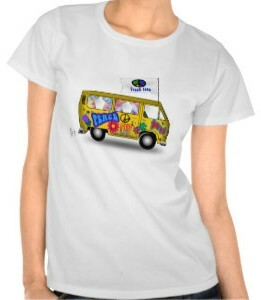 Take a ride back to the 1960’s with your Hippie friends in this t-shirt with a Volkswagon type of van. This t-shirt has a colorful painted van full of peace signs and flower power. Bright yellows, blues, pinks and greens are just the beginning and it looks like it is on its way to Woodstock right now. How can you not be happy in this t-shirt? There are many sizes, colors and styles to choose from for this t-shirt. 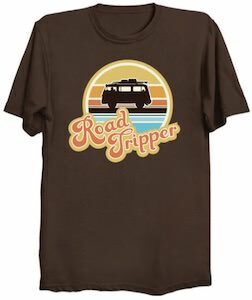 Go for a ride to the past in this Magic Hippie Van T-Shirt.